Since 2007, IAE has been partnering with the Salem district BLM to restore meadow and oak savanna habitat at Maxfield meadows. 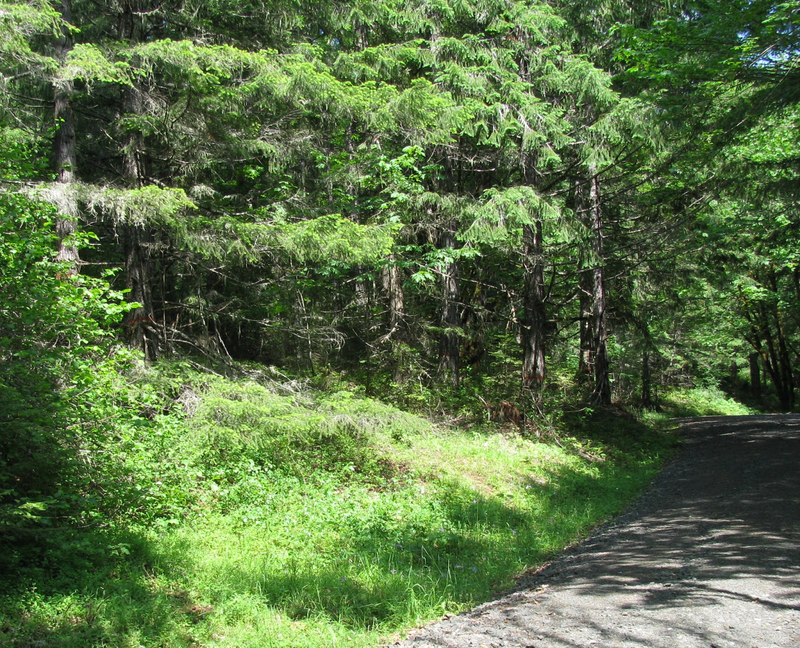 The site, located northwest of Corvallis, consists of a variety of meadows and forested areas. Much of the area is a stand of mixed pines with the understory generally characterized by high presence of invasive and exotic forbs. Among the invasive weeds is false-brome (Brachypodium sylvaticum), which IAE has been attempting to eradicate at the site since 2008. Brachypodium sylvaticum is a highly invasive, perennial European grass which appears to have first been introduced to North America in the Eugene area in the early 1900's. Because of its propensity to dominate habitats that it invades (specifically forest understory), B. sylvaticum has spread rapidly throughout the Pacific Northwest, establishing populations from southern Washington to the bay area of California. As a result, California and Washington have classified B. sylvaticum as a Class A noxious weed, while Oregon maintains its Class B rating. Named "false-brome" for it's morphological resemblance to members of the Bromus genus, a few key traits can be used for distinguishing False-brome from a true brome. While many bromes are hairy, they lack hairs on the margins of their leaves. Brachypodium sylvaticum on the other hand has distinctly hair leaf margins. Bromus tectorum leaf margin lacking hairs. Another identifying trait is the presence or absence of a pedicil (secondary stem holding the flowering head of the grass). In true bromes, the pedicils are conspicuously present, while in false-brome the inflorescence is attached directly to the main stem. B. sylvaticum inflorescence attached directly to stem. A patch of Brachypodium sylvaticum at Maxfield meadows. Populations of B. sylvaticum exist throughout the Maxfield site, ranging from just a couple of individuals to patches of 500 square meters or more. Through application of herbicide and hand-pulling, many of the smaller populations at Maxfield meadows have been knocked back or eradicated, while the larger patches show slow progress. In June of 2012, the IAE field crew removed 15 large trash-bags of B. sylvaticum from one of the larger populations located along a stream bank. In April of 2013, we returned to the same stream bank, bracing ourselves for a long day of hand removal. To our surprise, the years of diligent hand-removal had paid off, and the population along the stream had been reduced to just a few, scattered individuals! Invasive species management can often feel like a slow and discouraging struggle, and it was rewarding to see so much progress. 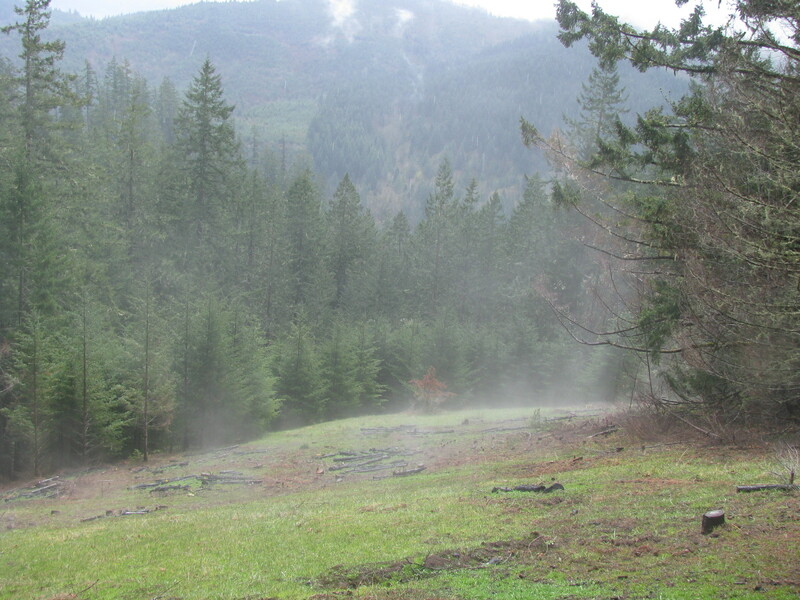 Upcoming management of Maxfield, slated to begin later in 2013, includes a selective timber harvest, burning, and seeding. The goal is to effectively use these techniques to clear and reestablish an oak savannah habitat in what is currently a mixed-pine forest. Following a burn event, the burn area will be seeded with a locally collected mix of native forbs and grasses, with further assessment of exotic present and native success conducted in the subsequent spring. We look forward to sharing future successes at Maxfield.